A leading real estate developer in Toronto is reportedly preparing a new development proposal to construct the smart city Quayside, which would be located on Toronto’s waterfront. According to an exclusive story by The Logic, this would be Mattamy’s second proposal for the project. Mattamy, along with OMERS and Manulife Financial, responded to a Request for Proposals (RFP) for Waterfront Toronto’s Quayside development. 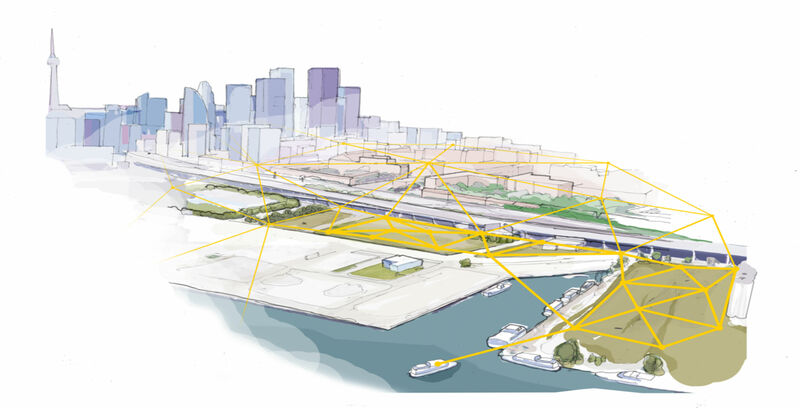 Google’s sister company Sidewalk Labs ended up winning that proposal in 2017. At the time, respondents were only given six weeks to complete the proposal. In Ontario Auditor General’s report that was released at the end of 2018, Bonnie Lysyk said Sidewalk Labs had been given more information than others. Sources have also said that there is going to be a meeting between Mattamy Homes and the provincial government. The proposal will be split into two parts, the first on a presentation for the project that includes lessons from Sidewalk Labs and information about technology and how it will be used in the smart city. The Alphabet-owned Google affiliate began working with Waterfront Toronto after it was solidified in October 2017. The Waterfront Toronto board of directors later approved a Plan Development Agreement (PDA) with Sidewalk Labs in July 2018. As a result of the 58-page PDA, Sidewalk Labs said that it would invest approximately $40 million USD (roughly $52.87 million CAD) to develop the Master Innovation and Development Plan (MIDP).